Dr. Pelto's Blog: What causes Charcot Foot? Many people, including yourself are probably worried about a condition that you may consider strange. The technical term is Charcot Foot. You may have heard about it as a problem that can happen when you have diabetes. You may have heard it as a problem that can happen with a condition called Leprosy, which is less seen these days. If you have diabetes for a long period of time or very out of control diabetes you are more likely to develop a Charcot foot. To put it simply, Charcot foot is nothing more than a broken foot, with someone that has diabetes and poor feeling in their feet. So you are at greater risk of developing one of these broken feet or a broken foot if you have diabetes for a long period of time, very good blood flow to your feet, meaning pulses that can be felt, and very poor feeling on your feet. These three conditions together make you very vulnerable to developing Charcot. I had a patient in my office recently, he was about 50 years old, he had had a foot wound in the past and we were treating it with a specialized shoe and that meant he was putting more pressure on his other foot. As a result of that increased pressure on the other foot he noticed that his other foot was getting warm and it was painful. A painful foot in someone that normally doesn’t have feeling is an area of concern. 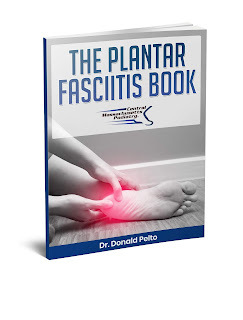 If you have pain and you normally don’t feel anything that can be a big problem because that feeling of pain is something that’s not normal to you and usually that indicates a big problem on your foot. This individual did go on to breaking his foot and his foot became dislocated, meaning one of the bones was out of joint and it caused a problem on his foot and he had to have treatment for this by keeping off of it. We will study next time about how you can treat charcot foot.